As the global economy enters a time of intense unease, expatriate investors could easily believe that making investments at this time may not be the best of ideas. However, this is certainly not the case, and even in this time of unrest, or rather especially in this time of unrest, expats should absolutely be exploring avenues of investment. It’s perfectly natural to crawl into a proverbial cash hovel and attempt to simply hide and ride out the financial problems that are plaguing the world economy. It’s also natural to sometimes put off making a difficult decision, and waiting until a time when the decision become easier. Yet, doing so and failing to update your investment portfolio could actually be more damaging than the financial crisis itself. A recent survey discovered that many investors have indeed adopted the ‘head in the sand’ approach and have chosen to not invest in recent times. According to the Lloyds TSB International Wealth Survey 72 percent of UK expatriate investors have not made any changes to their UK investments, 88 percent have left their eurozone investments untouched, and 90 percent have left their US investments untouched. As touched upon, this outlook is unsurprising. Making investment decisions is of course a time consuming task, and the decisions to make are rarely easy, especially in times of financial uncertainty. When faced with a difficult economy it becomes harder to know where to invest money, and as such people opt to simply wait until the storm lifts and calmer times return. For some, the problem also comes down to a lack of knowledge. Without adequate understanding of the markets and available financial products investors put off making the investments that could potentially bring them good returns. With a trusted financial adviser investors can gain a clearer picture of the investment landscape, and thus decisions become easier to make. One of the most important aspects of an investment portfolio is diversity, yet this also an area that many expat investors seem to bypass. Around one third of high net investors admit that they do not have well diversified investment portfolios. An interesting find is that many of these high net individuals hold large sums of cash- 57 percent of high net individuals hold £50,000 just in cash. 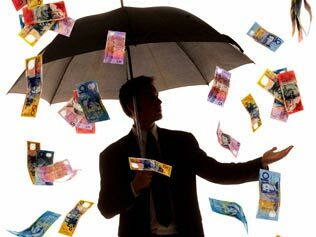 This suggests that there is indeed a problem with advice- with good financial advice cash holdings can be placed in canny investments that will create more wealth for the individual.